It’s just a month left for Christmas. How’s the preparation going? We believe you’ve begun decorating the house also. But when you’re decking up the living room, don’t forget the humble mantelpiece. 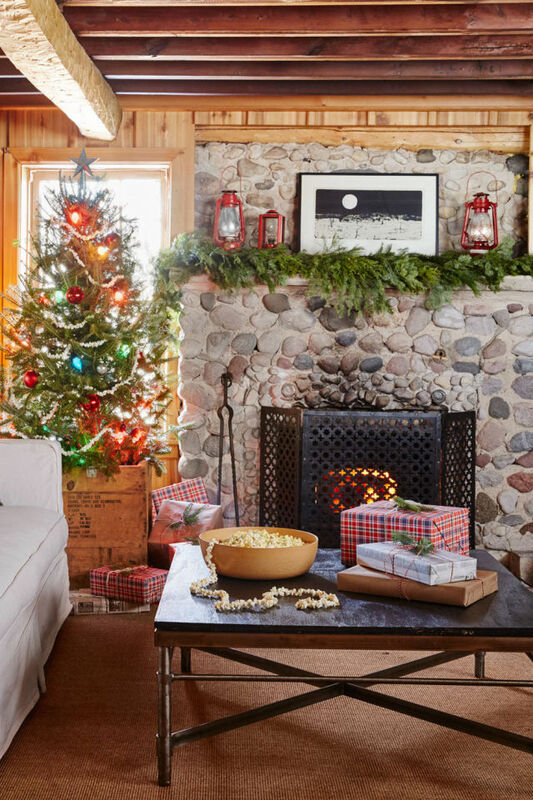 There are just a few things that look as Christmassy as a beautifully decorated fireplace with a Christmas tree next to it. It ushers in the Christmas spirit like no other thing. 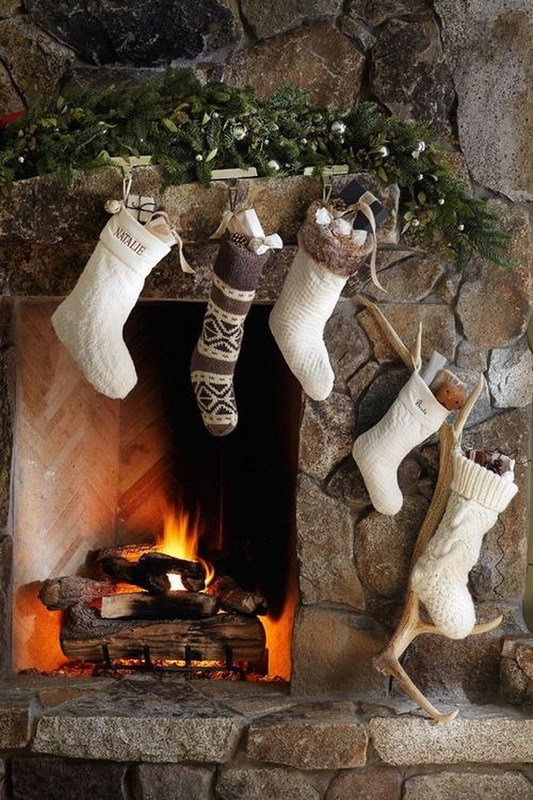 Unfortunately, most of the people stick to traditional stockings and wreaths when decorating the fireplace. But there’s a lot more you can do with the mantelpiece. 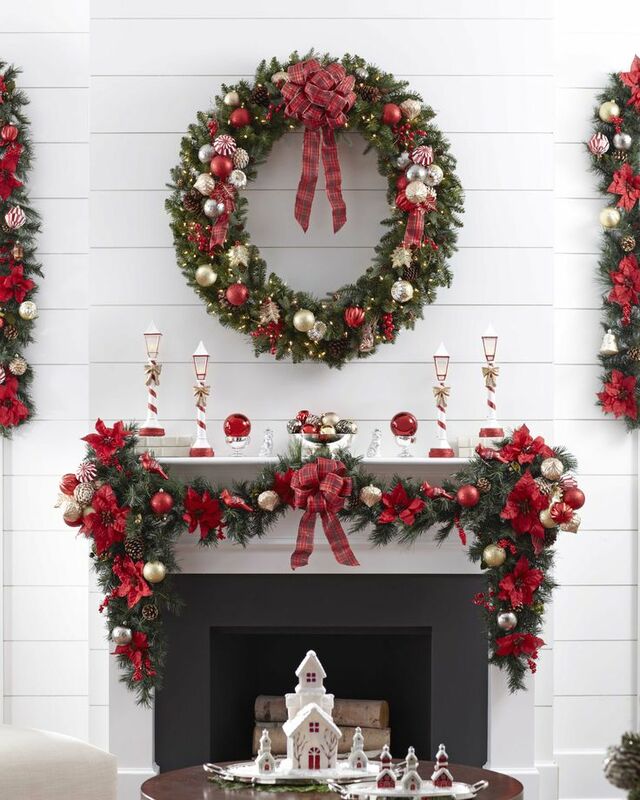 So transform the mantelpiece piece into a showstopper using our lovely mantel decorating ideas. Now that’s what we call a grand mantelpiece. 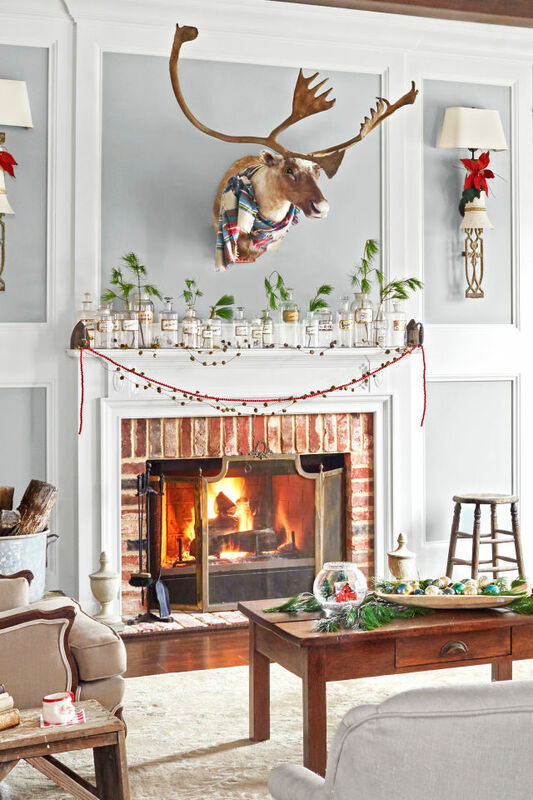 The mantel is decorated with vintage jars filled with evergreens. The red string is giving a nice pop of color. 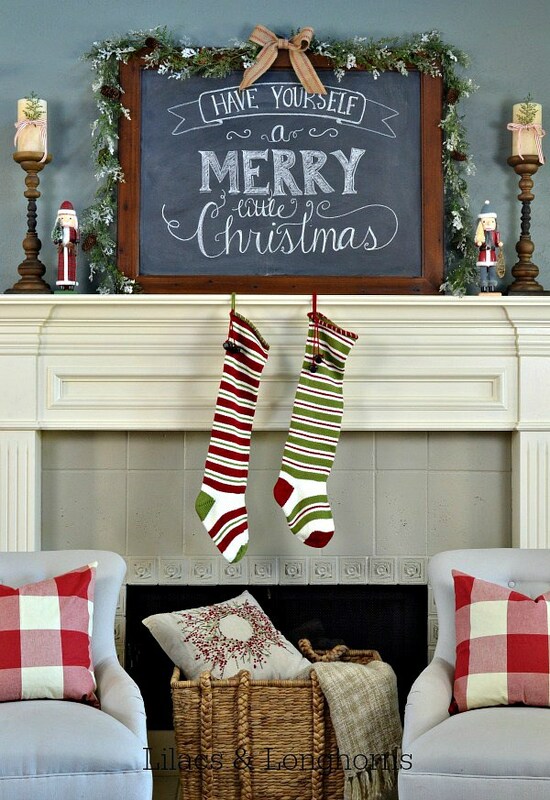 This whimsical mantel features personalized stockings, bright lights, Cardinal plants and a wooden Christmas tree. It’s sure to fill the house with cheer. 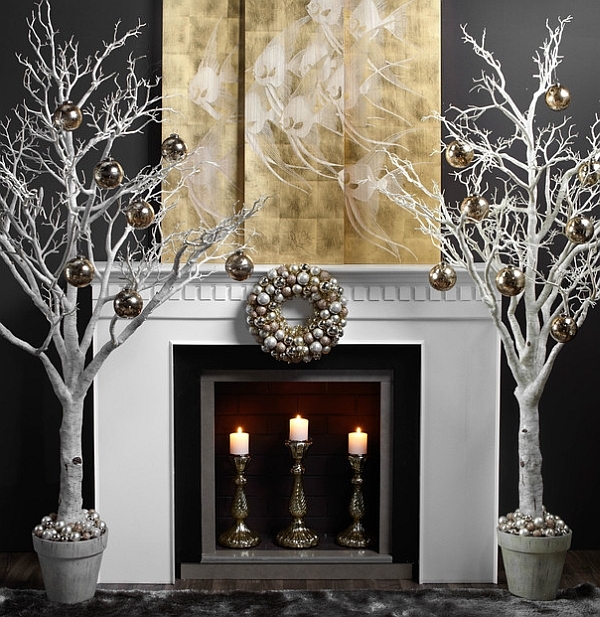 The standout feature of this mantel has to be the gold and silver wreath, which is framed by a wooden mirror. Totally unique! 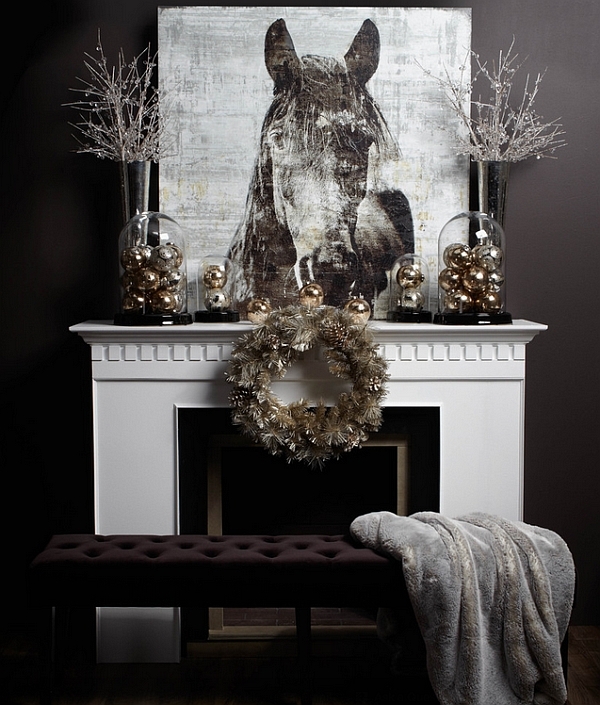 Metallic hues and earthy tones are giving a luxe and rustic look to this mantelpiece. Natural pinecones, fresh greenery and grapevine balls are adding natural elements to it. This one is sweetness personified. 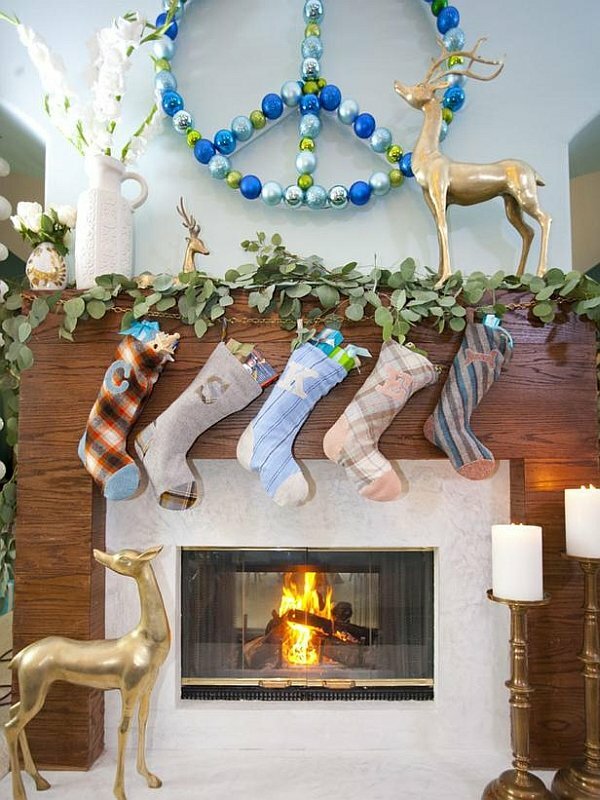 The mantel here is decorated in the 1900s style with stockings and Santa and his reindeer showpieces. If you don’t like cluttering things, you can go the simple route this Christmas. It’s also an excellent way to bring an antique frame to use. 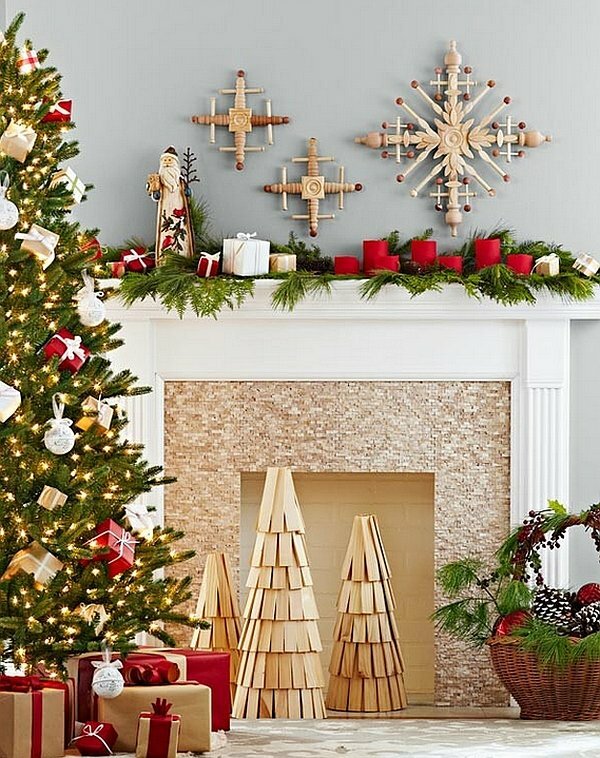 Remember, pinecones and cranberries are a must in this decorating idea. This fireplace is unusually beautiful. We particularly loved the wooden wreaths on the mantelpiece. And the red candles are exemplary. 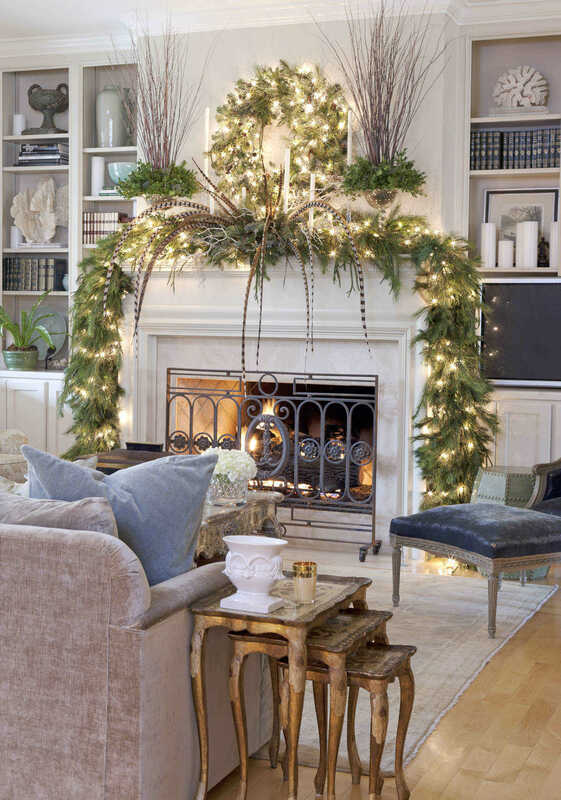 This mantel decoration idea is elegant and sophisticated in the truest sense. It’s so unlike the other decorations we see during Christmas. Just go for it. Another modern and elegant mantel decoration ideas for our lovely readers. It cannot get more sophisticated than this. 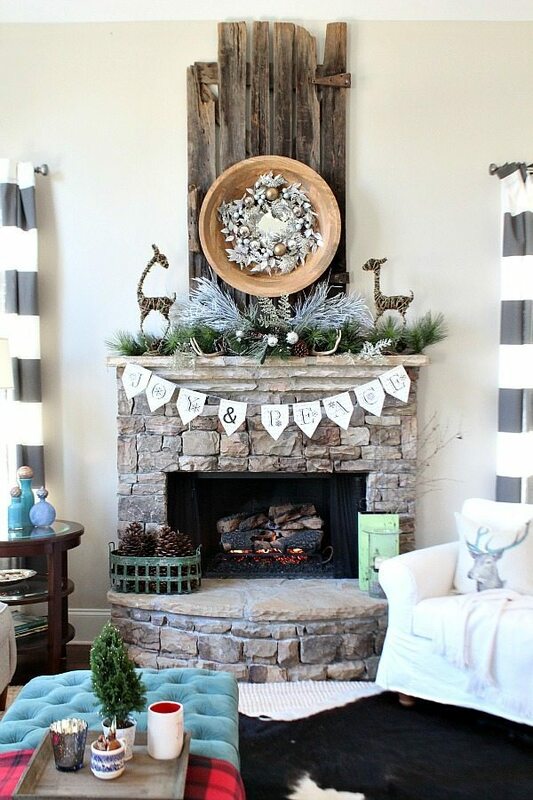 The stone fireplace here is given a simple, yet classy look with the fir garland. The red lanterns are also hung on both sides of the mantelpiece. Very cozy and warm! 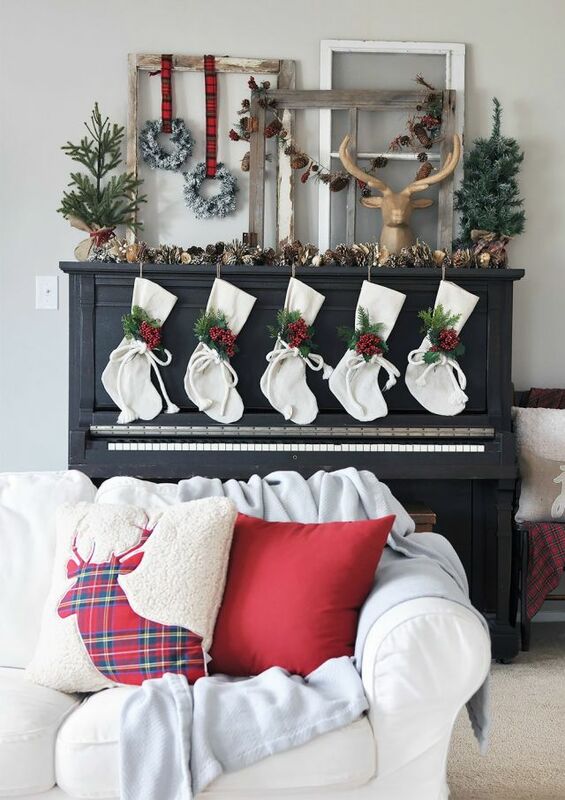 If you’re planning a Scandinavian themed Christmas or a white Christmas décor, make sure you follow this mantelpiece decorating idea. It’s very fresh, pleasing and not over the top. Add a golden touch to your décor with these golden reindeer. 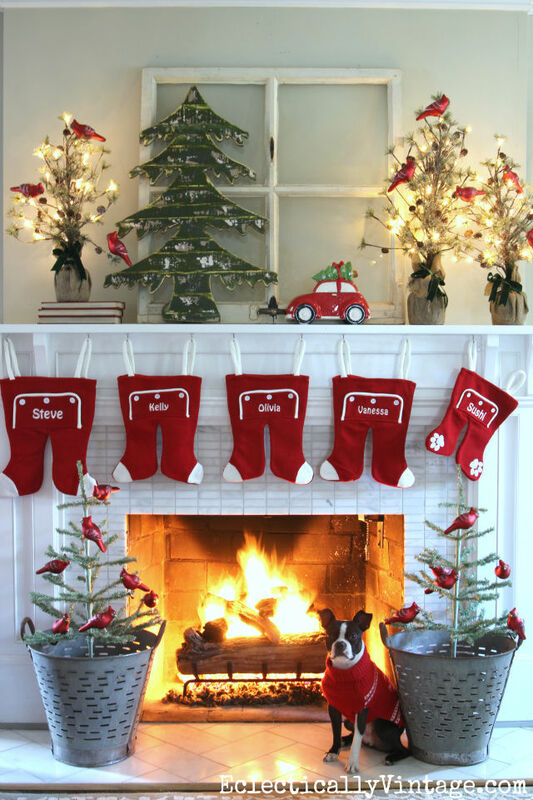 We loved the idea of using different types of stockings for the decoration. 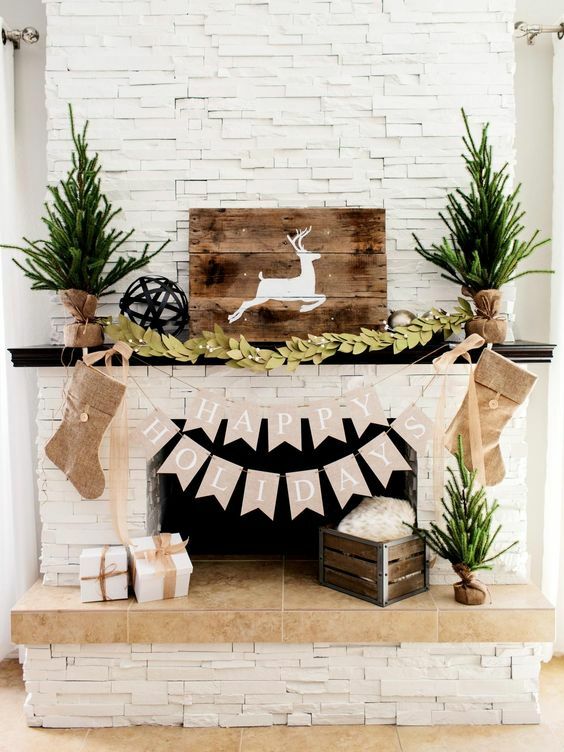 Here’s a cozy and outdoorsy mantel complete with pine tree miniatures, acorns, stockings and a deer head fixture. Typical, yet beautiful. 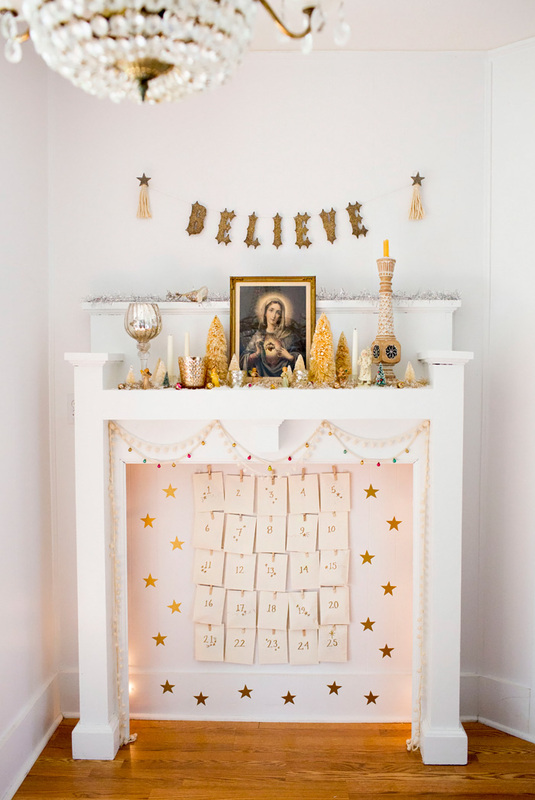 This beautiful white mantel is decked with a simple garland, golden star wall decals and of course, a Christmas advent calendar. We must say the white and gold color combination is looking fantastic. 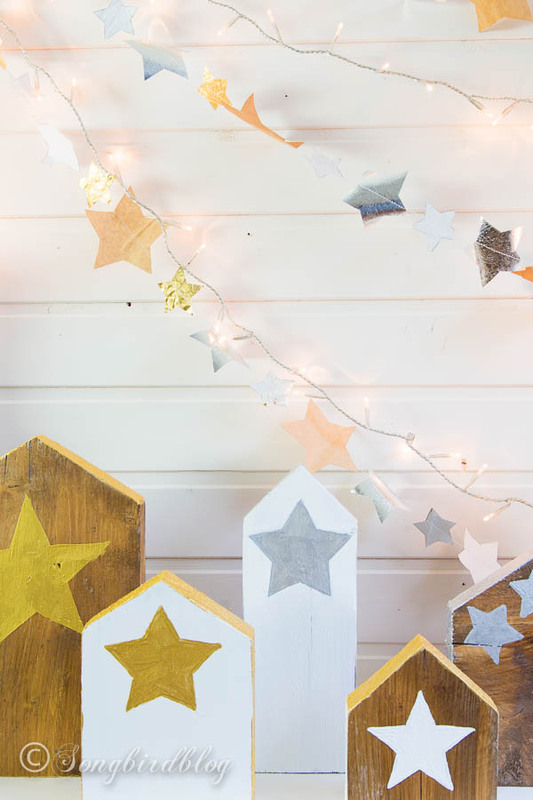 The creative blogger from songbirdblog.com has made a star-studded mantel with dreamy garlands and wooden houses. It will put a twinkle in everyone’s eyes. 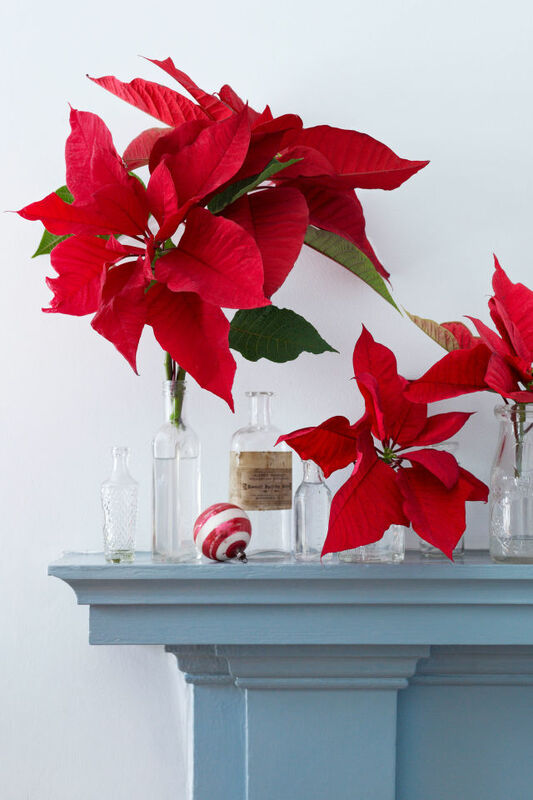 Poinsettias are a must in the Christmas seasons. So how about decorating your mantelpiece with it? 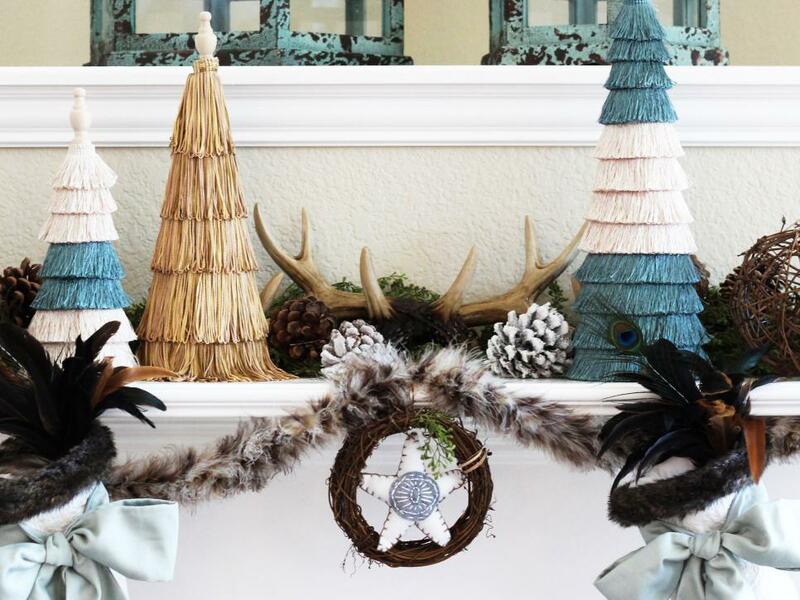 A very neat and clean mantel decoration idea. 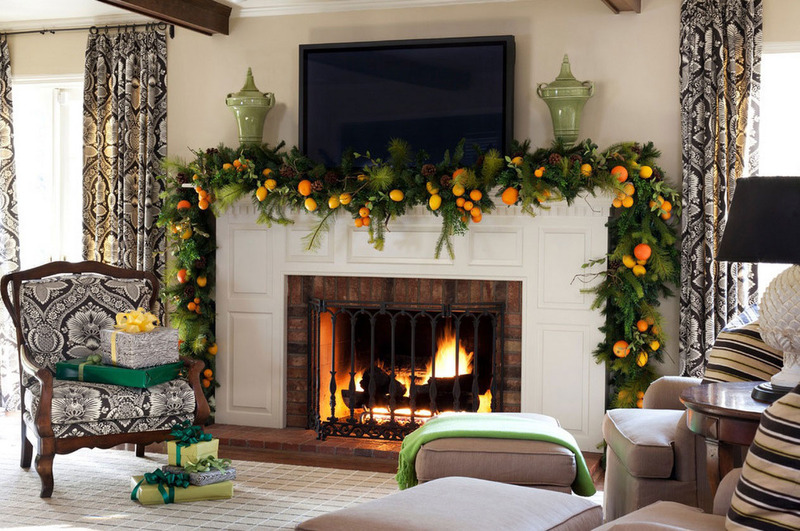 If you want to give an exotic touch to your décor, display citrus fruits on your mantelpiece. It’s an excellent last minute decorating idea. And makes an interesting statement too. Isn’t this idea looking magical? 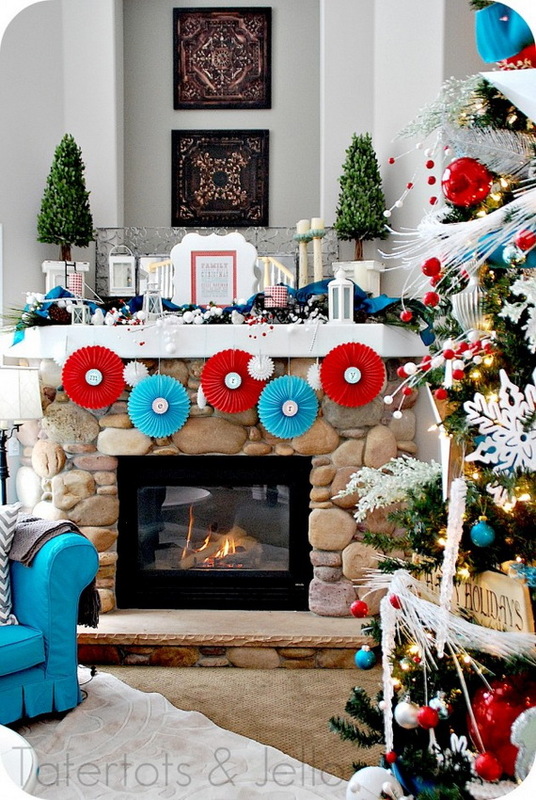 The crackling fireplace is decorated with feathers affixed with lights and a Christmas wreath. Fairytales will come to life with this idea. This cozy, plush and comfortable looking living room is further warmed up with a beautiful mantelpiece. 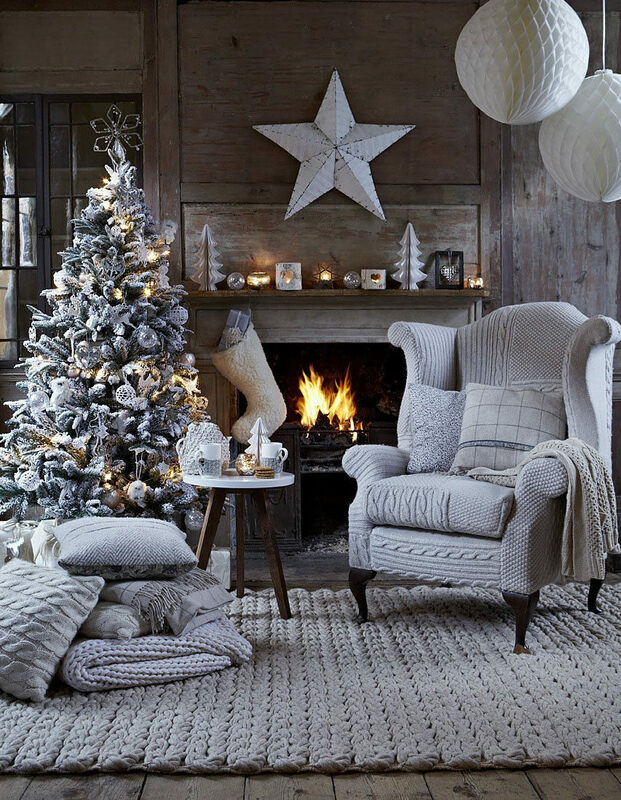 The decoration with oversized star, paper Christmas trees and lamps are giving a minimal yet strong look to the room. Does it look a bit strange to you? That’s because it isn’t exactly a mantle, but a piano turned into one. 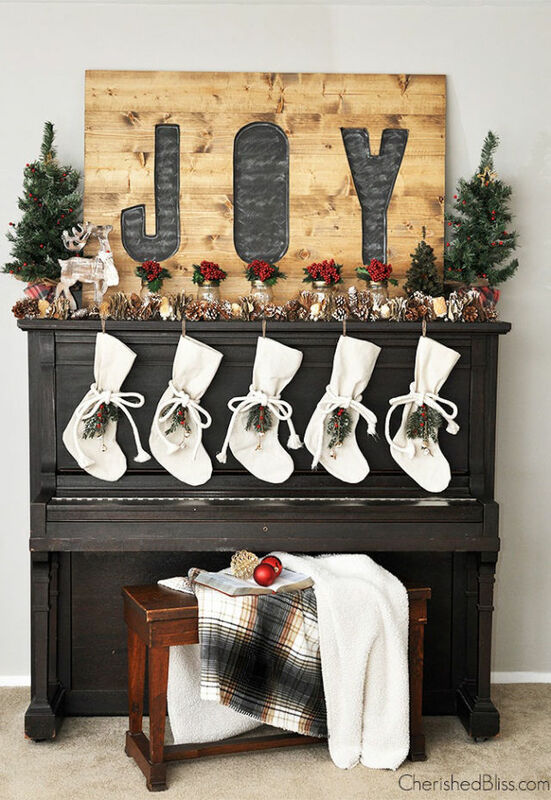 This rustic mantel features nutcracker figures, a traditional garland and a chalkboard piece decked with garlands. The two stockings will further add Christmas cheer to the house. 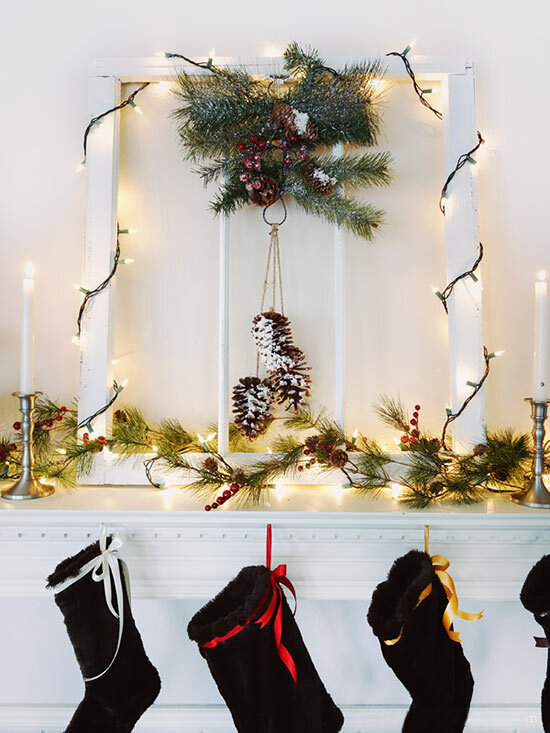 Instead of displaying the stockings in a straight line, you can hang them in a way as shown in the picture. 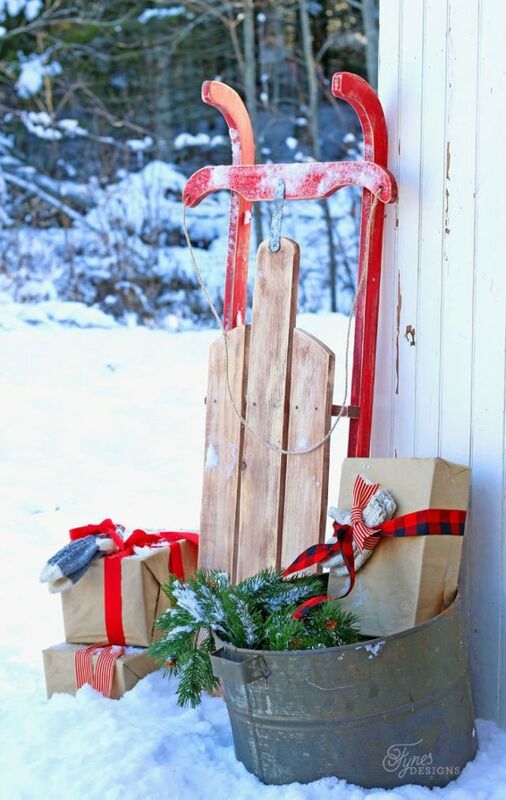 A perfect idea for a rustic Christmas decoration. This bright and colorful design is so cheerful and pleasing to the eyes. The color combination red and blue is absolutely stunning. And despite being so colorful, the mantel isn’t looking over the top. This is one of the latest Christmas mantel designs. The garland and its corresponding wreath look outstanding. And the pastel color combination is also lovely. 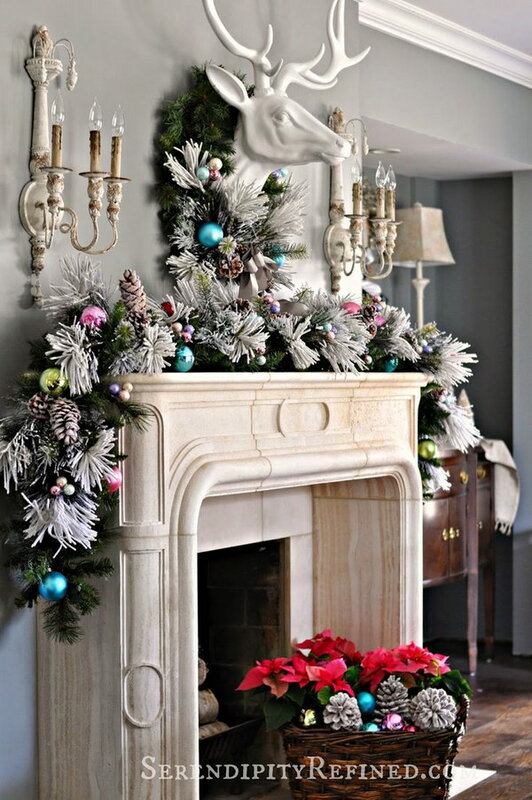 In this idea, the talented homemaker has incorporated a mercury glass tree and a jingle bell wreath to dress up her mantel. What do you think about this silver and gray mantelpiece decoration idea? Isn’t it stunning? You can never go wrong with red and green combination during Christmas. For instance, see this glorious mantelpiece? 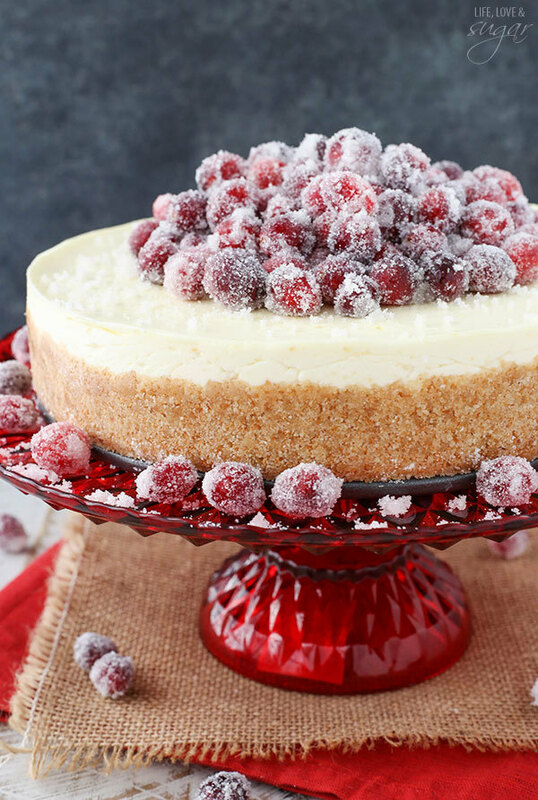 It’s so tastefully done! 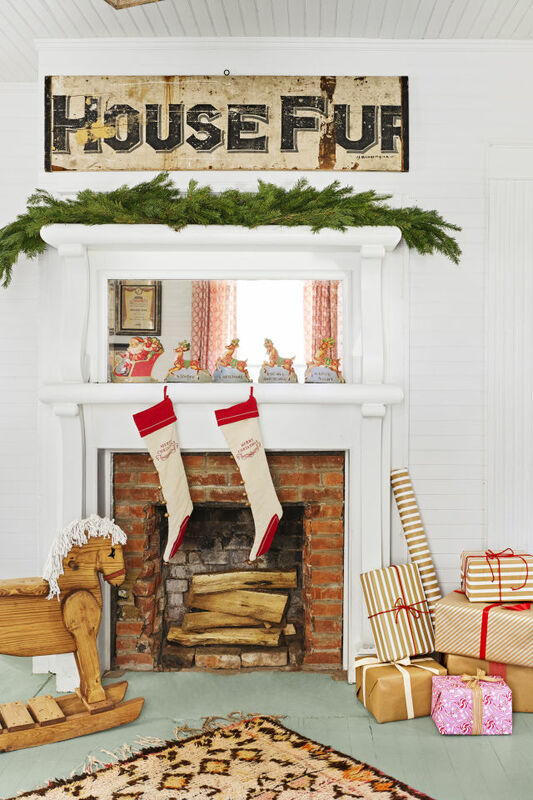 You can never really go wrong with paper garlands for mantel decoration. 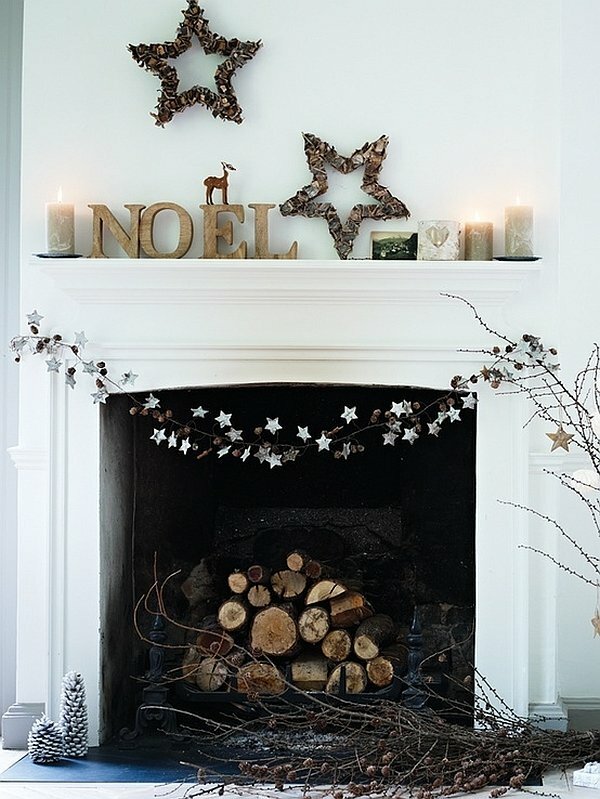 Place a plywood with reindeer silhouette on the mantelpiece for added effect. 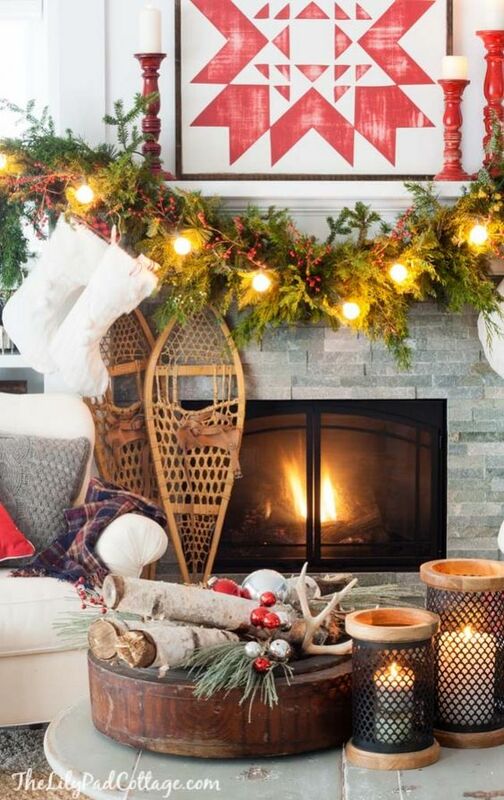 The cozy mantel here features snow shoes, beautiful garland and a red and white quilt sign- typical Canadian look. The owner of this house very cleverly tucked gold garland in the arrange. The golden glass beads on the elk antlers are adding a finishing touch.